Think Small: In Switzerland, designer Jonathan Tuckey transformed a bisected house into a cozy family retreat. Dividing curtains create privacy while adding a layer of insulation. Fire Down Below: Greg Wooten, the art-loving owner of this upstate New York getaway, decorated with a carefully curated collection of furniture and design objects. For one of two sleeping areas flanking the main living space, Wooten placed tatami from Miya Shoji on the cork floor. “With the radiant heating system, it’s fantastic to be in this glass box looking out at a blizzard, walking barefoot on the warm floor,” he says. Insulate It: In the Berkshires, architect Lea Cloud of New York City’s CR Studio devised a rain screen of Atlantic white cedar that floats four-and-a-half inches off the structure. The clever cover allows the mountain house to breathe, drains away moisture, and conceals the foam covering the house’s multilayered insulation sandwich with light-handed elegance. Pack 'Em In: In British Columbia's ski country, one family built a home designed for entertaining. With 16 beds, bunks, and twin-bed-wide window seats, there is no shortage of places to sleep. 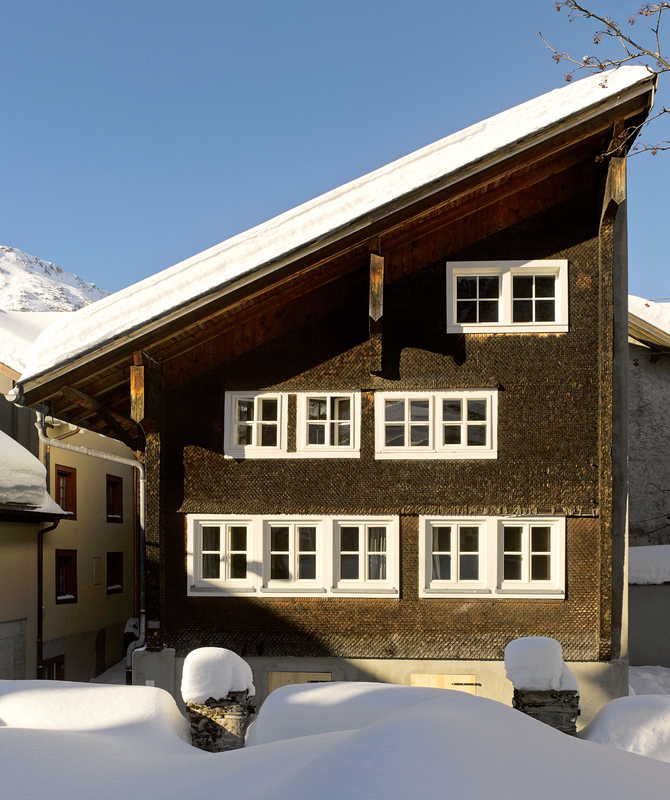 Arm Yourself: At the edge of the Austrian village of Lech, large wooden shutters help protect the windows of a modern ski chalet against avalanche damage. Steelwork helps strengthen the house's wooden frame.